OP-917 Drum Scale (Built-in Ramps) by Optima Scale Manufacturing features a large 1000 pound weighing capacity which is more than ideal for most drums or barrels that need to be weighed. The large weighing surface is "live" which means all parts of it can be used to weigh things. 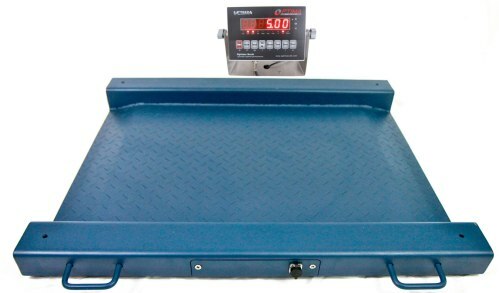 The scale comes complete with a digital weighing indicator calibrated to the scale platform. The platform can be carefully moved to different locations if necessary for portable weighing. As with all Optima Scale Mfg items, specifications are subject to change due to continuous manufacturer improvements.